Over a long and prolific career, John Bellany came to be considered one of Britain’s foremost figurative painters. Born in the small fishing town of Port Seton in East Lothian, where Calvinism was deeply engrained, Bellany described the relationship between the sacred and profane as being among his most important subjects. The 70s and 80s present a darker period for the artist. The profound impact of a visit to Buchenwald concentration camp in 1967 is immediately evident in major paintings such as Pourquoi?, 1967. The spectreof depression, alcoholism and physical illness, with which Bellany wrestled throughout his life, is also felt in intimate works such as Addenbrookes Hospital – Self-Portrait, 1988, sketched from the artist’s hospital bed following a liver transplant. 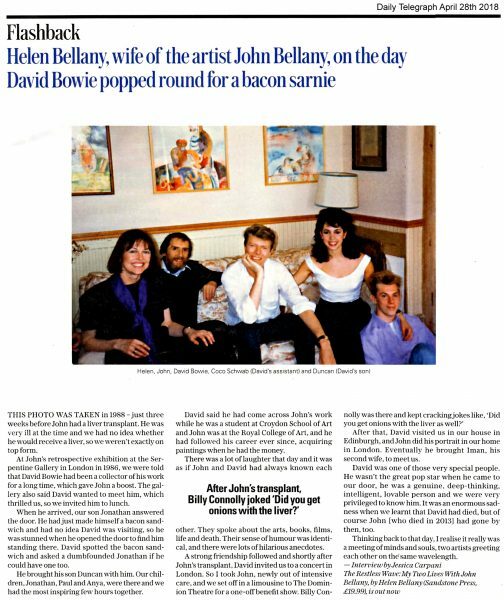 Bellany’s 1989 portrait of Alan Davie, whom he greatly admired, is also included in the exhibition. 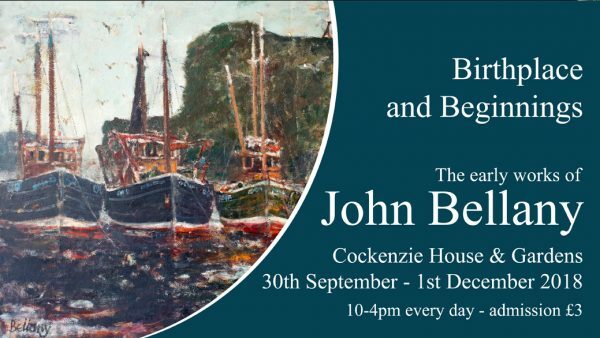 Cockenzie House & Gardens is honoured and delighted to announce this special exhibition of the artist John Bellany’s earliest works which will be located in the village of Cockenzie & Port Seton where he was born and where he spent his childhood years. 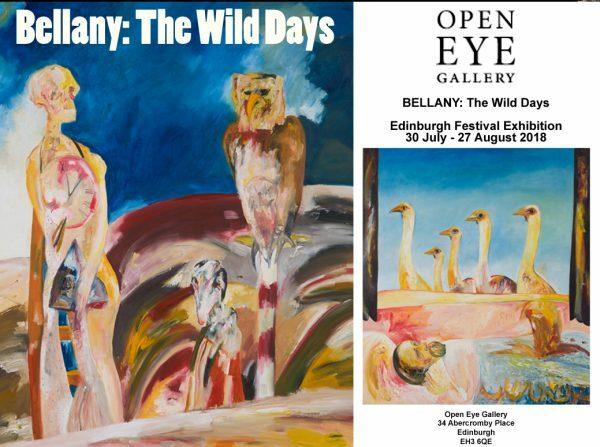 This exhibition explores the formative period of his life up until the age of twenty two when he left Scotland to study at the Royal College of Art in London. In the exhibition, we shall be witness to the culture of the Scottish fishing community he was born into, the essential elements of which inspired his unique vision underlying the body of his lifetime’s work that brought him international acclaim and recognition as one of the most powerful artists of his generation and one of Scotland’s best loved and celebrated sons. We trace the path that his work would take him from the earliest tender drawings of childhood through those of the school years and on to works completed as a student at Edinburgh College of Art where his work was quickly acknowledged as a compelling force. 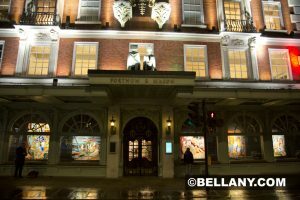 Life drawings and paintings, still life, portraits and figure compositions of that time have never been exhibited before. We shall be privileged to share the memories and anecdotes of his local friends and contemporaries. We explore the customs and traditions, the religious observance and the predominance of the sea that pervaded the Bellany family as they did all families in the community during the austere but peaceful times of the fifties. We see the dynamic of change that would bring in the sixties and all the freedom and social revolution of those times and finally we will watch as, nourished by all his early years have given him, he sets out on his tumultuous life’s journey full of youthful optimism. This exhibition, by the community, in the community, for the community and beyond, pays tribute to John Bellany, whose exceptional creative force produced throughout his lifetime a body of uniquely iconic paintings, drawings and prints that are to be found in the permanent collections of many of the National Galleries and private collections throughout the world. 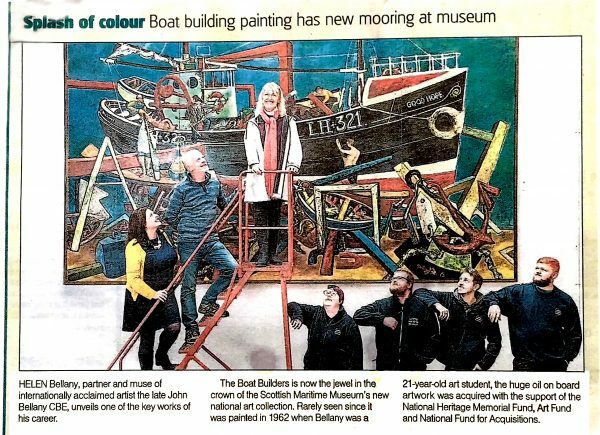 The Scottish Maritime Museum will unveil a remarkable new national art collection featuring works by artists such as FCB Cadell, Ian Hamilton Finlay, Muirhead Bone, Kate Downie and John Bellany in a major art exhibition opening on Friday 1st June. 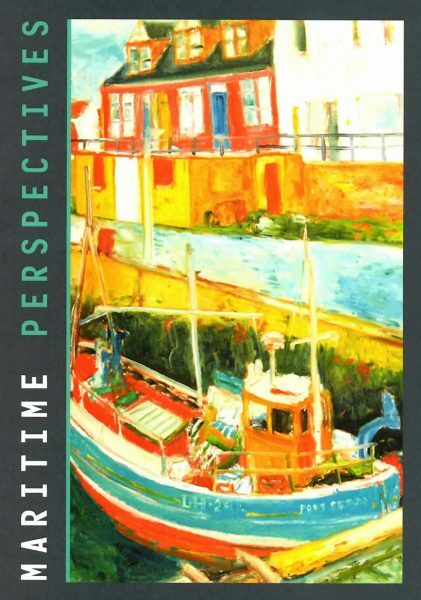 ‘Maritime Perspectives: Collecting Art of a Seafaring Nation’, which will run at the Scottish Maritime Museum on the Harbourside in Irvine, North Ayrshire, until Sunday 21st October, will be the first full showing for the new art collection which captures life along Scotland’s coastline in all its grit and glory. 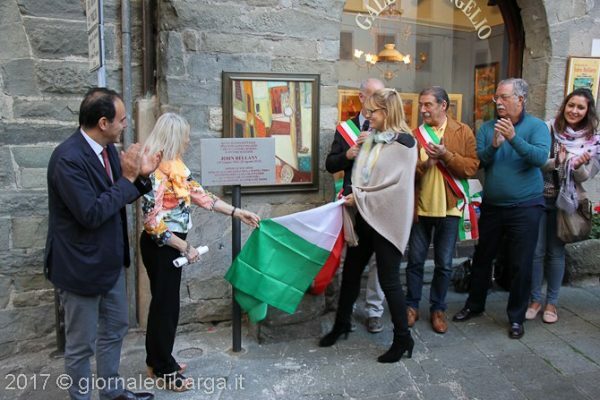 John Bellany was honoured this month in the Tuscan town of Barga. A memorial plaque to the artist, who lived in the region for over a decade, was erected in the town square. 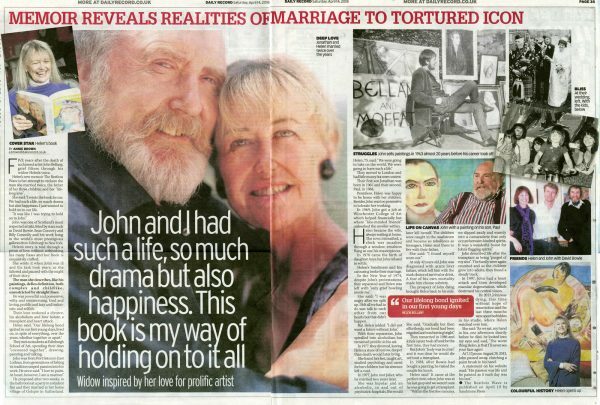 The event was attended by local dignitaries and Bellany’s widow, Helen, gave a heart warming speech about the love affair they both had with the region and the effect it had on John’s work.